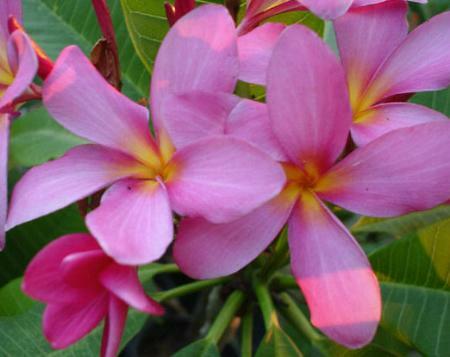 Plumeria or Frangipani, whichever you prefer to call them, are some of nature's most exotic and beautiful plants. 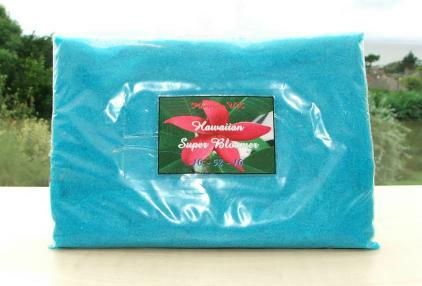 Over the years they have become world famous for their association with the Far East, Africa and the beautiful Hawaiian islands. 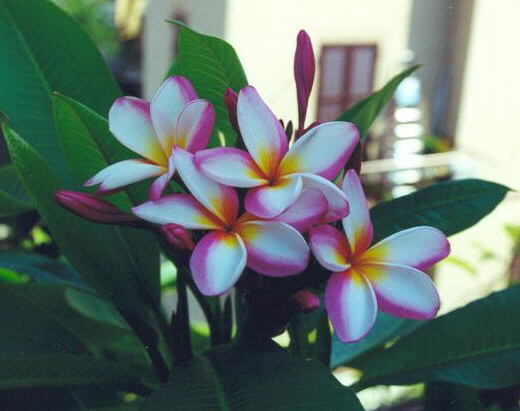 Steeped in tradition, Plumeria are the actual flowers used to make the beautiful garlands or leis, which are given in friendship to visitors on arrival in the islands. 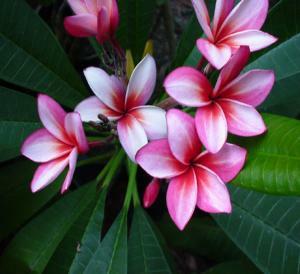 Spectacular colours, enchanting fragrances and very fond memories all combine to make these incredible plants a real tropical gardeners delight. 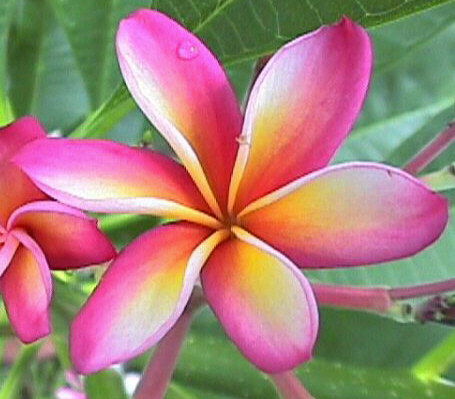 We first came across plumerias whilst in Hawaii many years ago and immediately fell in love with them. 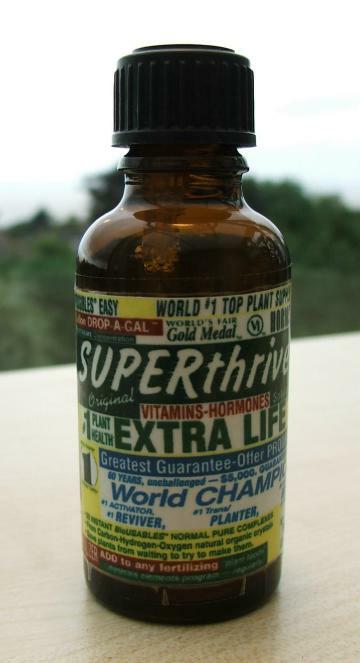 Since then we have devoted our time to introducing and establishing them here in the UK. Our own Nursery is constantly striving to find ways and means of improving their performance in our climate and our experiences and unique climate controlled facilities do allow us to offer the best quality, pre-acclimatised, ready potted specimins all year round. 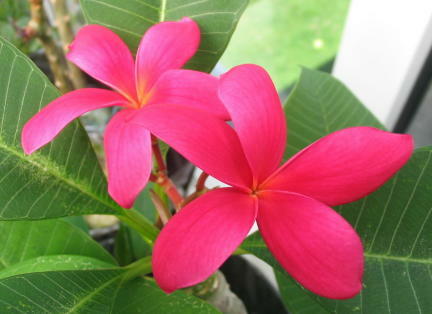 All our Plumeria are easy to grow and bloom and require only minimal care and attention. 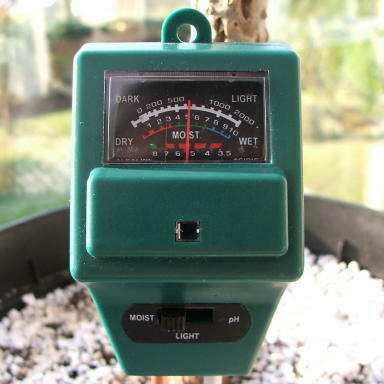 They simply need a warm, well lit spot in a conservatory, home or garden and exposure to as much sun as your climate can offer. A little water and some of our specialised plant food is then all you need add. Subject to conditions blooming can happen as early as the first summer and by using the products in our Essential Supplies catalogue and the advice given in our Free Monthly Newsletter you can always rest assured, knowing your doing everything you need to achieve success. 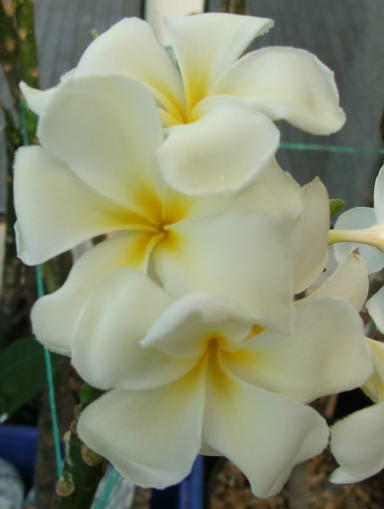 We sell our Plumeria in a number of forms, to suit all pockets and occasions. 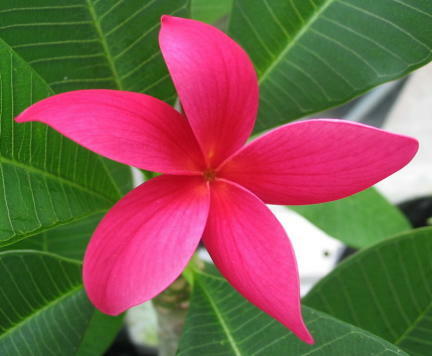 Seedlings are young Plumeria plants that are approximately 6 months old, 3-6 inches tall and bloom in 2-3 years. 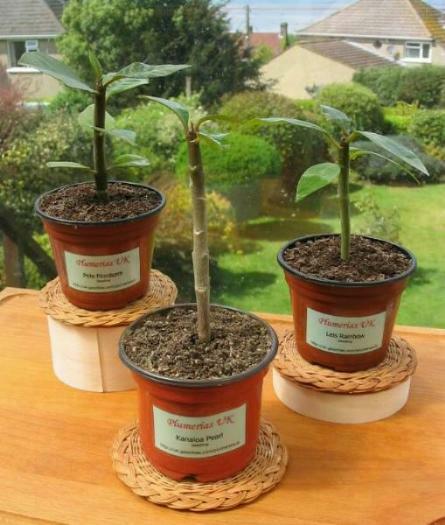 They come potted and growing, with full instructions, all ready to be placed and cared for. To guarantee quality, all our Seedlings are hand reared from named seeds in our climate controlled Nursery and whilst not all grow true to their parent, are very easy to look after, fascinating to behold and do make truly unique gifts. 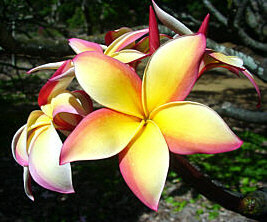 Tree Cuttings are actual stem tissue cut from mature Plumeria trees. They are normally between 12-18 inches long, 1 inch in diameter and resemble a thick, gnarled branch. But, once planted they quickly leaf and then generally bloom in only 12-18 months. Planting and care does require some skill, but we do now offer these Ready Rooted just to make everything a little easier. 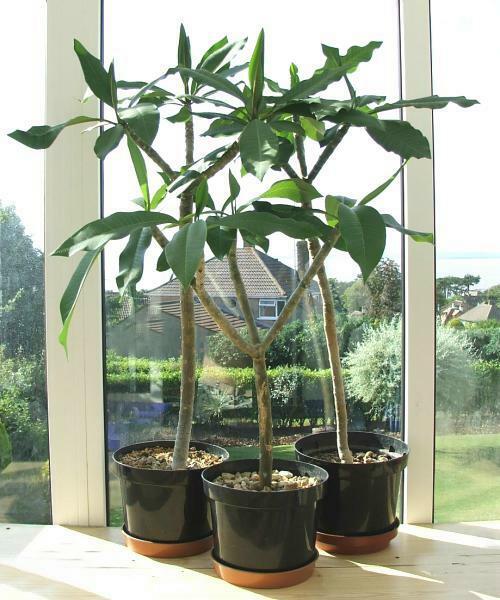 If your in no rush or you'd prefer a Plumeria plant that is already potted and leafed, then our Grow To Order Service is an excellent solution. 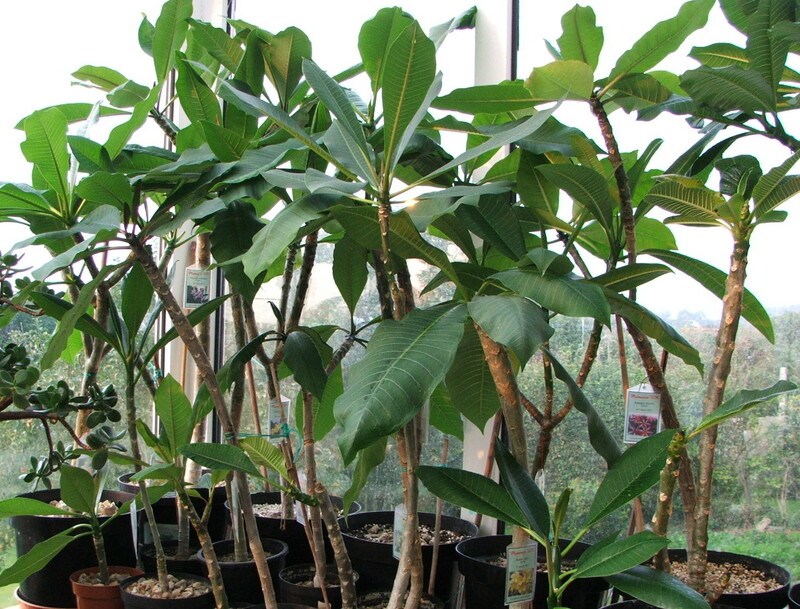 It enables you to have the Plumeria plant of your choice professionally prepared and brought into full leaf by us in our climate controlled Nursery. 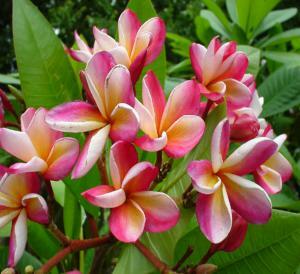 The process only takes 8-12 weeks, and we are always happy to keep and care for plumerias for longer if desired. 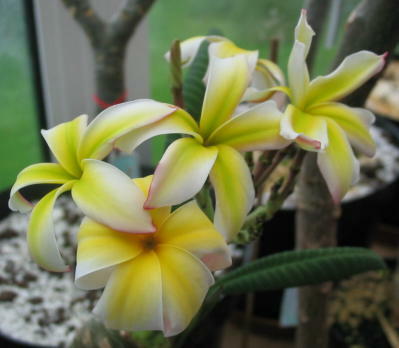 Then when everyone's ready we despatch your Plumeria to you, already potted and in leaf, giving you a Ready Grown Plumeria Plant at nearly half the normal price! 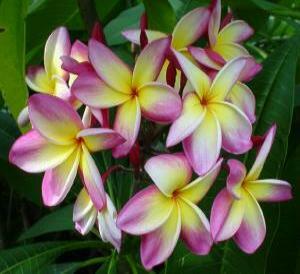 But, if time is of the essence, then our Ready Grown Plumeria Plants do offer the ultimate 'Instant' solution. These are mature plants that we keep pre conditioned in our Nursery allowing for despatch all year round. Each one is 40-60cm in height, fully established with strong roots and leaves and can be ready for despatch in only 8-12 days. They are despatched potted in soil and very carefully packed to ensure safe transit, leaving you to simply unpack, place and enjoy. 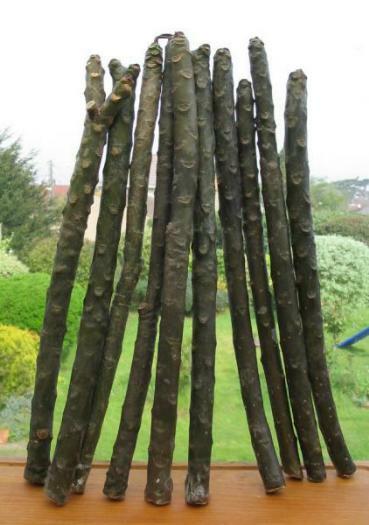 Or for the ultimate, consider our Extra Large specimins which are bigger and even more visually dramatic. 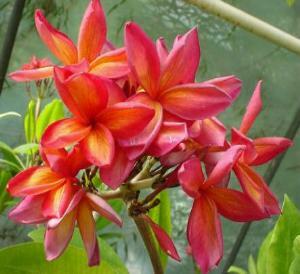 These vibrant and robust multi branched Plumeria are all 3-4 years old, between 70cm and 100cm tall with the pedigree of having already flowered and can be delivered in only 6-8 weeks, providing the ideal solution for your perfect Plumeria experience. 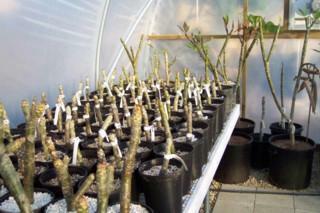 Prior to despatch all Seedlings, Tree Cuttings and Plumeria Plants are fully inspected and prepared. They are then carefully hand packed in hardened packaging and despatched by Royal Mail First Class Recorded Delivery. We enclose full Care and Maintenance instructions with every order and are always available online if you have any questions or need any help. Likewise, our Plumeria Gift Vouchers are an excellent choice, for those wishing to share their passion with friends or colleagues, whilst still allowing the recipient the pleasure of choosing the actual variety and delivery date. 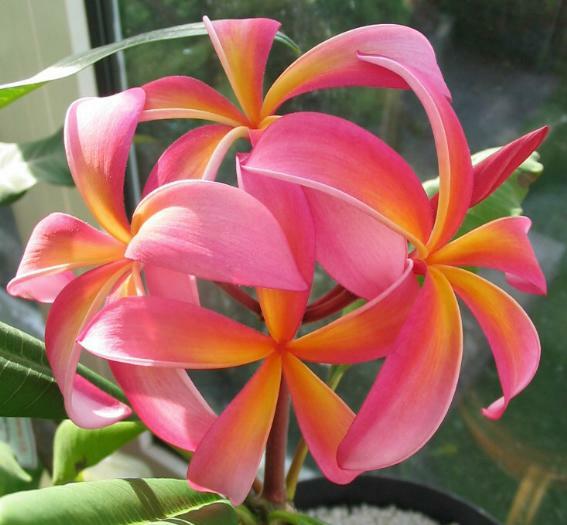 'My Plumeria arrived safely this morning. Brilliant Packaging! 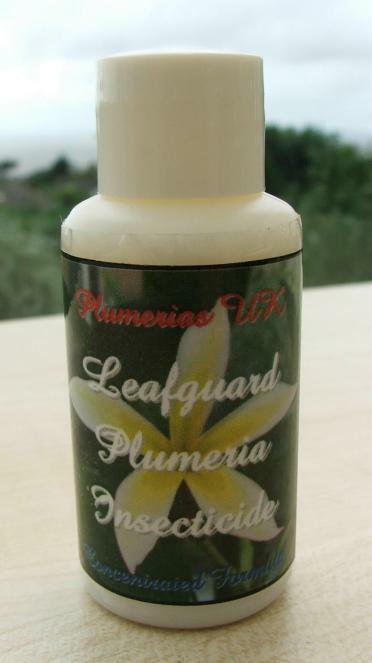 Every now and again, your Plumeria may seem to be a little under the weather. Stunted growth, withering stems, dropping or discoloured leaves can be a very worrying sight and easily create a feeling of panic over what to do, often resulting in misguided action. The Plumeria Clinic, is the ideal place to take your worries and concerns, as it offers simple, practical, UK relevant advice, based on our many experiences over the years within our own Nursery. 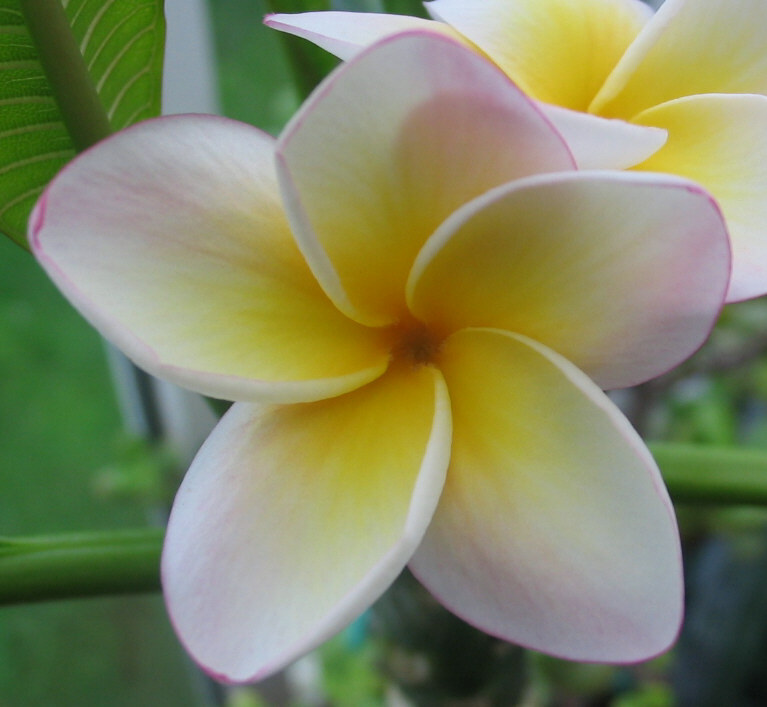 So whether your Plumeria came from us or not, to get it back on track and restore your peace of mind, just click on the button at the bottom of this page and see if we can help. 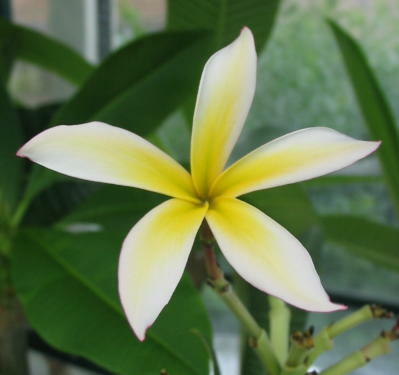 Likewise if you'd like to give your Plumeria some extra nourishment or a little pick me up, then a visit to our Essential Supplies catalogue is exactly what you need. 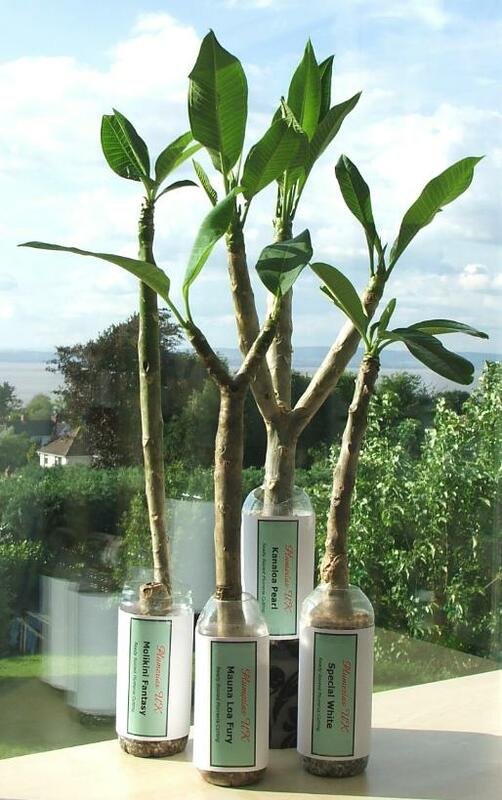 Packed with all the 'little secrets' we ourselves use in our own nurseries, they allow you to really encourage and support your Plumeria in every way, getting it all set for summer blooming. Just click on the button at the bottom of this page and take a look. 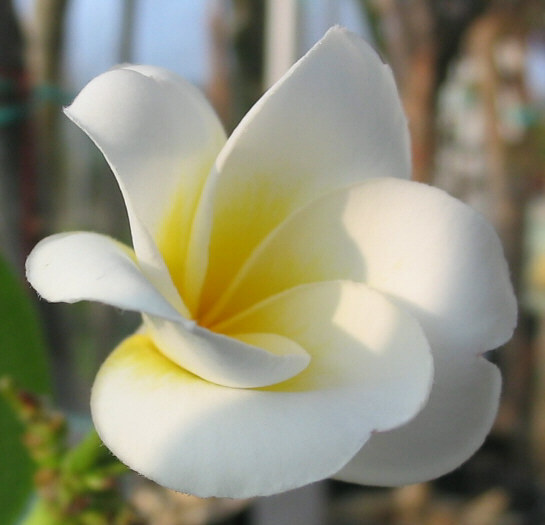 So, if you'd like to try the latest trend in tropical gardening, spice-up an existing collection or simply relive a memory of distant shores or times, order one of our Plumeria and you won't be disappointed. 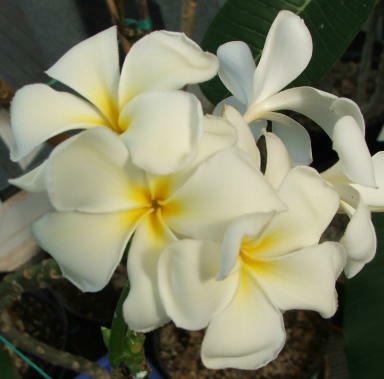 To view our Catalogues of Plumeria and Essential Supplies or to consult our Plumeria Clinic or take a peek in our Nursery, please click on the appropriate button below. If you have any questions or require any assistance, please click on the button below and send us an email. To receive our Free monthly Newsletter, just click on the button below.